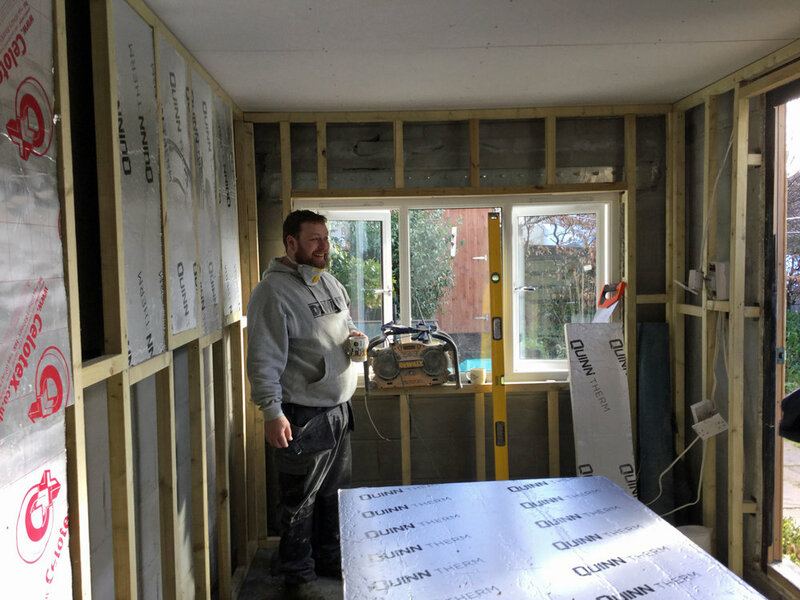 The snow has gone, and the builder is back, putting insulation into the newly constructed internal timber walls. Nice and cosy! If we ever get snow again I'll be warm. It's beginning to look like a real room now, and my disbelief that it would ever actually happen is fading. I'm beginning to think about the furnishings; ideas for big sinks in small spaces will be gratefully recieved!! Ideally the sink will have a bowl size of a minimum of 15" (39cm) by 22"(56cm); the watercolourists amongst you can probably work out why. If you are mystified follow this link! New Shop on Moor to Sea Arts website!